We present a numerical model that describes the propagation of a single femtosecond laser pulse in a medium of which the optical properties dynamically change within the duration of the pulse. We use a finite-difference time-domain method to solve the Maxwell’s equations coupled to equations describing the changes in the material properties. We use the model to simulate the self-reflectivity of strongly focused femtosecond laser pulses on silicon and gold under laser ablation conditions. We compare the simulations to experimental results and find excellent agreement. E. G. Gamaly, S. Juodkazis, K. Nishimura, H. Misawa, B. Luther-Davies, L. Hallo, Ph. Nicolai, and V. T. Tikhonchuk, “Laser-matter interaction in the bulk of a transparent solid: Confined microexplosion and void formation,” Phys. Rev. B 73, 214101 (2006). Y. Liao, Y. Shen, L. Qiao, D. Chen, Y. Cheng, K. Sugioka, and K. Midorikawa, “Femtosecond laser nanostructuring in porous glass,” Opt. Lett. 38, 187–189 (2013). H. Zhang, D. van Oosten, D. M. Krol, and J. I. Dijkhuis, “Saturation effects in femtosecond laser ablation of silicon-on-insulator,” Appl. Phys. Lett. 99, 231108 (2011). M. Li, K. Mori, M. Ishizuka, X. Liu, Y. Sugimoto, N. Ikeda, and K. Asakawa, “Photonic bandpass filter for 1550 nm fabricated by femtosecond direct laser ablation,” Appl. Phys. Lett. 83, 216–218 (2003). B. Rethfeld, K. Sokolowski-Tinten, D. Von Der Linde, and S. I. Anisimov, “Timescales in the response of materials to femtosecond laser excitation,” Appl. Phys. A 79, 767–773 (2004). D. Hulin, M. Combescot, J. Bok, A. Migus, J. Y. Vinet, and A. Antonetti, “Energy transfer during silicon irradiation by femtosecond laser pulse,” Phys. Rev. Lett. 52, 1998–2001 (1984). K. Sokolowski-Tinten and D. von der Linde, “Generation of dense electron-hole plasmas in silicon,” Phys. Rev. B 61, 2643–2650 (2000). K. Sokolowski-Tinten, J. Bialkowski, and D. von der Linde, “Ultrafast laser-induced order-disorder transitions in semiconductors,” Phys. Rev. B 51, 14186–14198 (1995). R. W. Boyd, Nonlinear Optics3rd ed. (Academic, 2008). Th. 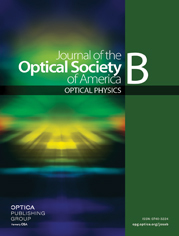 Brabec and F. Krausz, “Nonlinear optical pulse propagation in the single-cycle regime,” Phys. Rev. Lett. 78, 3282–3285 (1997). H. Zhang, D. M. Krol, J. I. Dijkhuis, and D. van Oosten, “Self-scattering effects in femtosecond laser nanoablation,” Opt. Lett. 38, 5032–5035 (2013). L. Hallo, A. Bourgeade, V. T. Tikhonchuk, C. Mezel, and J. Breil, “Model and numerical simulations of the propagation and absorption of a short laser pulse in a transparent dielectric material: Blast-wave launch and cavity formation,” Phys. Rev. B 76, 024101 (2007). C. Mézel, L. Hallo, A. Bourgeade, D. Hébert, V. T. Tikhonchuk, B. Chimier, B. Nkonga, G. Schurtz, and G. Travaillé, “Formation of nanocavities in dielectrics: a self-consistent modeling,” Phys. Plasmas 15, 093504 (2008). I. B. Bogatyrev, D. Grojo, P. Delaporte, S. Leyder, M. Sentis, W. Marine, and T. E. Itina, “Non-linear absorption of 1.3-μm wavelength femtosecond laser pulses focused inside semiconductors: finite difference time domain-two temperature model combined computational study,” J. Appl. Phys. 110, 103106 (2011). H. Schmitz and V. Mezentsev, “Full-vectorial modeling of femtosecond pulses for laser inscription of photonic structures,” J. Opt. Soc. Am. B 29, 1208–1217 (2012). T. Y. Choi and C. P. Grigoropoulos, “Plasma and ablation dynamics in ultrafast laser processing of crystalline silicon,” J. Appl. Phys. 92, 4918–4925 (2002). P. P. Pronko, P. A. VanRompay, C. Horvath, F. Loesel, T. Juhasz, X. Liu, and G. Mourou, “Avalanche ionization and dielectric breakdown in silicon with ultrafast laser pulses,” Phys. Rev. B 58, 2387–2390 (1998). N. Medvedev and B. Rethfeld, “A comprehensive model for the ultrashort visible light irradiation of semiconductors,” J. Appl. Phys. 108, 103112 (2010). E. Yablonovitch and N. Bloembergen, “Avalanche ionization and the limiting diameter of filaments induced by light pulses in transparent media,” Phys. Rev. Lett. 29, 907–910 (1972). B. C. Stuart, M. D. Feit, S. Herman, A. M. Rubenchik, B. W. Shore, and M. D. Perry, “Nanosecond-to-femtosecond laser-induced breakdown in dielectrics,” Phys. Rev. B 53, 1749–1761 (1996). H. M. van Driel, “Kinetics of high-density plasmas generated in Si by 1.06- and 0.53-μm picosecond laser pulses,” Phys. Rev. B 35, 8166–8176 (1987). N. W. Ashcroft and N. D. Mermin, Solid State Physics (Brooks/Cole, 1976). D. M. Riffe, “Temperature dependence of silicon carrier effective masses with application to femtosecond reflectivity measurements,” J. Opt. Soc. Am. B 19, 1092–1100 (2002). C. Fourment, F. Deneuville, D. Descamps, F. Dorchies, S. Petit, O. Peyrusse, B. Holst, and V. Recoules, “Experimental determination of temperature-dependent electron-electron collision frequency in isochorically heated warm dense gold,” Phys. Rev. B 89, 161110 (2014). E. Bevillon, J. P. Colombier, V. Recoules, and R. Stoian, “Free-electron properties of metals under ultrafast laser-induced electron-phonon nonequilibrium: a first-principles study,” Phys. Rev. B 89, 115117 (2014). Z. Lin, L. V. Zhigilei, and V. Celli, “Electron-phonon coupling and electron heat capacity of metals under conditions of strong electron-phonon nonequilibrium,” Phys. Rev. B 77, 075133 (2008). Updated calculations at http://www.faculty.virginia.edu/CompMat/electron-phonon-coupling/ . K. Eidmann, J. Meyer-ter-Vehn, T. Schlegel, and S. Huller, “Hydrodynamic simulation of subpicosecond laser interaction with solid-density matter,” Phys. Rev. E 62, 1202–1214 (2000). D. M. Sullivan, “Electromagnetic simulation using the FDTD method,” IEEE, 2000. A. D. Bristow, N. Rotenberg, and H. M. Van Driel, “Two-photon absorption and Kerr coefficients of silicon for 850–2200 nm,” Appl. Phys. Lett. 90, 191104 (2007). B. Y. Mueller and B. Rethfeld, “Relaxation dynamics in laser-excited metals under nonequilibrium conditions,” Phys. Rev. B 87, 035139 (2013). S. J. Youn, T. H. Rho, B. I. Min, and K. S. Kim, “Extended Drude model analysis of noble metals,” Phys. Status Solidi B 244, 1354–1362 (2007). K. Vestentoft and P. Balling, “Formation of an extended nanostructured metal surface by ultra-short laser pulses: single-pulse ablation in the high-fluence limit,” Appl. Phys. A 84, 207–213 (2006). Lumerical Solutions, Inc. http://www.lumerical.com/tcad-products/fdtd/ . L. Novotny and B. Hecht, Nano Optics (Cambridge University, 2006). Fig. 1. Diagrammatic view of the model. The iteration starts at Maxwell’s equations, which solve the propagation of the laser pulse in an initially unexcited material. Once every optical half-cycle, the optical intensity inside the material can be derived using the electric field obtained with Maxwell’s equations. This optical intensity is used as an input to the material equations that describe the response of the material to the intensity. By solving the material equations, parameters of the excited material, such as electron density and electron temperature, are obtained. Subsequently, a new susceptibility can be deduced from the parameters of the excited material. This new susceptibility and thus the dielectric function are further inserted into Maxwell’s equations to complete a single iteration. The iterations are conducted once every optical half-cycle until the end of the pulse. Fig. 2. Layout of the 2D-FDTD simulation box. The FDTD grid is excited by a soft source that is located 200 nm above the silicon–air interface. Scattered E and H near-field values are recorded at the detector plane to extract the reflectivity. Fig. 3. 2D-FDTD calculations and experimental measurements of self-reflectivity for bulk silicon and SOI samples. Open and closed symbols indicate results of two independent experimental runs for bulk silicon (circles), SOI 1 (squares), and SOI 2 (diamonds). The solid lines show the reflectivity calculated by 2D-FDTD simulations with the TM and TE modes combined for bulk (green), SOI 1 (blue), and SOI 2 (red). The dashed lines show the results obtained from a 1D-FDTD simulation. The blue dashed–dotted and dotted lines show the reflectivity calculated for SOI 1 using either the TE or the TM mode, respectively. The left inset shows the reflectivity calculated using a dynamically changing collision rate with a T dependence, and the right inset shows the reflectivity calculated using a collision rate with a T 2 dependence. Fig. 4. FDTD calculations and experimental measurements of self-reflectivity on the SOI 1 , SOI 2 , and bulk samples. For the calculations, an impact ionization coefficient θ = 0 cm 2 / J is used. The lines and symbols have the same meaning as in Fig. 3. Fig. 5. Calculated (a) carrier density, (b) carrier temperature, and (c) optical effective mass on the surface of the sample after the end of the pulse. In each plot, the green line shows the data for the bulk silicon sample, the blue line for the SOI 1 sample, and the red line for the SOI 2 sample. Fig. 6. (a) FDTD calculation and experimental measurements of self-reflectivity on a 400 nm gold film on glass. Open and closed squares are the experimental data from two independent runs. The solid line shows the calculated self-reflectivity taking both the TM and the TE mode into account. The dotted and dashed–dotted lines show the self-reflectivity taking only the TE mode or only the TM mode into account, respectively. The dashed line shows the self-reflectivity calculated with the conduction electron density at room temperature. (b) Calculated electron temperature on the surface of the sample. (c) The corresponding Drude damping time. Fig. 7. Error of the FDTD method. Results with a range of PML thicknesses are presented.